View My Featured Homes Below! I Have Extensive Language Skills: English, and Several Other Languages. I Want To Make Your Dreams Come True! Enthusiasm, Consistency, Service and Results. and I Will Get Them Back Up Again. I Do List and Sell Homes Outside of This Area, However These Are My Main Focus. When Visiting the Websites On the Left, Please Remember To Call 911 If You Have An Emergency. We Are Located On the South-Eastern Corner of Baldwin and Huntington Drive. The World Class Westfield Santa Anita Mall, the Los Angeles County Arboretum and Botanic Gardens, and the Historic Santa Anita Park Are Across the Street. Traveling South On Baldwin Avenue (Our Main Street in Arcadia) You Will Find a Delightful Assortment of Upscale Shops and Restaurants. Welcome Home! Helping People Is My Passion, and I Am Knowledgeable, Trustworthy, and Experienced. 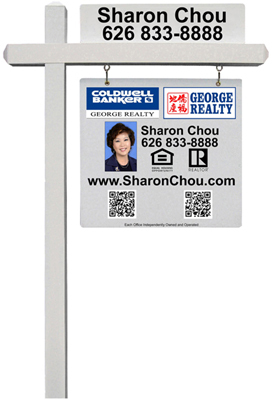 If You Would Like to Buy or Sell, a Mountain or Beach Home, or Something In-between, Then Just Call Me At Your Convenience, Thank You, Sharon Chou, 626 833-8888. I Want To Make Your Dreams Come True! If I Have Unintentionally Omitted Your Group, Club, Entity, or Event Please Let Me Know! Sharon Chou: I Want To Make Your Dreams Come True! REALTOR®, CENTURION® 1997-2012 ~ Thank You!